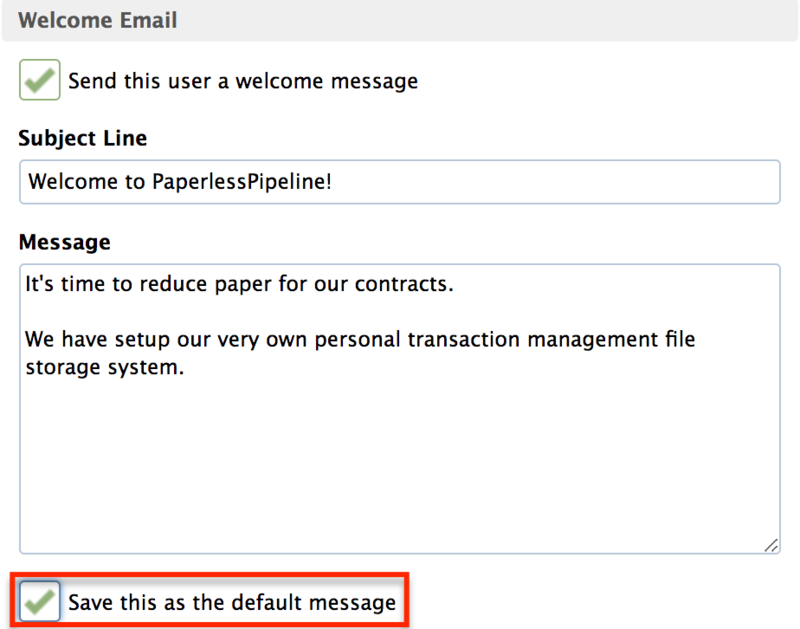 Users in Paperless Pipeline are people (such as agents and staff) who can log in to a company’s account. Short version: 1) Click your name in the upper right corner then "Admin / Settings". 2) Click [Manage Users]. 3) Click [Add User]. 4) Complete the form to create a new user. 5) Click [Add User] to finish. Complete the form to create a new user. Enter their first name, last name, and the email address they’ll use to log in. Select their primary location - you’ll still be able to give the user permissions for other locations - then enter a password. They’ll use this password to log in to Pipeline and they may change it at any time. Determine if you want the new user to receive a welcome email containing their login info. If so, leave the welcome message checkbox checked and confirm or edit the details of the subject and message. If you’d like the subject and the message to be saved for future welcome messages, click the [Save this as the default message] checkbox. Expand the location if necessary and check the boxes next to the permissions you would like to grant the user. Since permissions are granted by location, specify separate permissions for each location. Learn about each permission by hovering over the item and viewing the help text to the right. Click [Add User] to save the user. 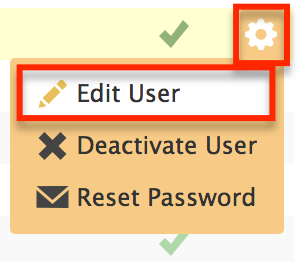 User account info may be updated at any time by returning to the Manage Users list and clicking [Actions] then [Edit User].